"Curated by Lord Norman Foster, this exhibition explores the creativity of Cartier and design. Cartier in Motion includes over 170 exhibits alongside rare insights into the research and work of the designers at Cartier, through extracts from material found in the Cartier Archives. 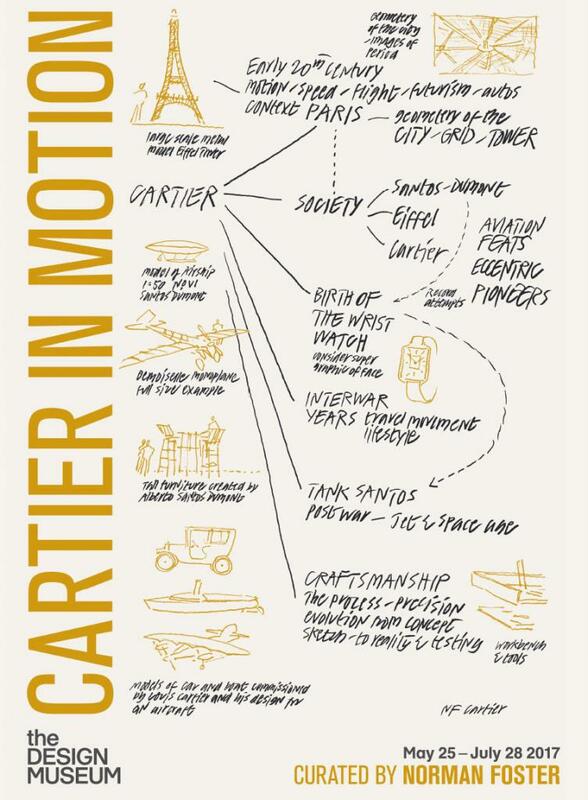 Whilst telling the story of Cartier watchmaking and the invention of the modern wristwatch, Cartier in Motion explores the change in society at the turn of the 20th century."